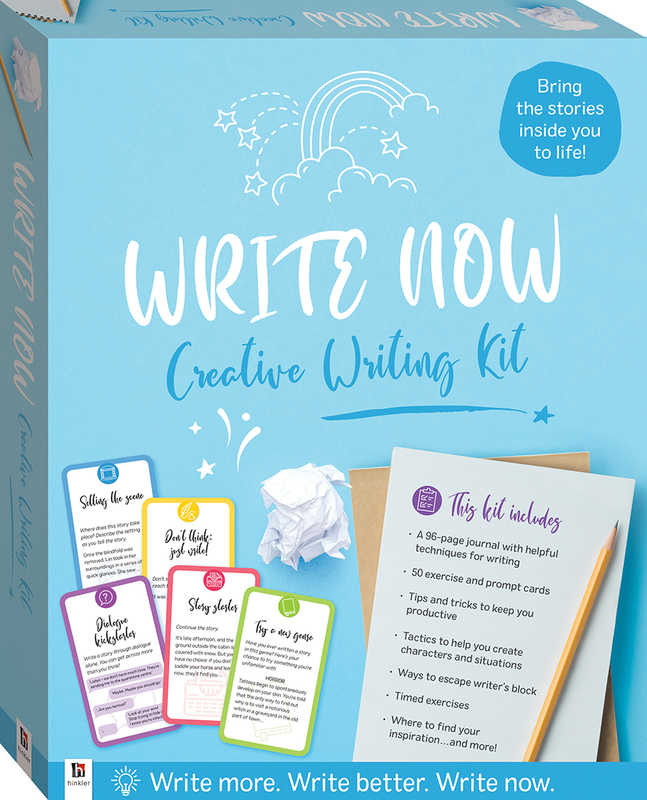 If you have ever wanted to dip your pen into the world of creative writing, this journal and creative writing prompt card kit will help you get started… right now! Inside, best-selling author and writing educator Ellie Marney provides info and tips on writing techniques and how to get started, plus you'll find lined journal pages and 50 writing exercise cards to fire up imaginations! Whether you want to write epic romances, daring adventures, or star-filled sci-fi, with Write Now: Creative Writing Kit you’ll bring your imagination to life and take your first steps into the rewarding pastime of creative writing.